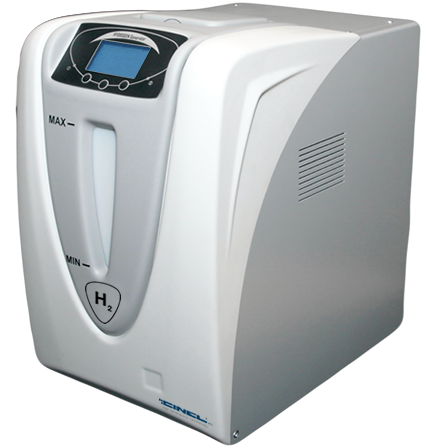 The new RC series (Regenerable Cartridge) hydrogen generator combines high performance with competitive price. The RC series has double desiccant cartridge columns with huge capacity that limit the frequency of the operations for the maintenance of the desiccant cartridge. A programmed alarm advises the user for the intervention. The cartridge can be also replaced by a new one immediately without any waste of working time.